Small in size but featuring a nationally significant story, Baltimore's Irish Railroad Workers Museum on Lemmon Street offers a rare glimpse of immigrant home life in America in the middle of the 19th century. An avalanche of Irish immigrants hit Baltimore in the 1840s and1850s, many escaping Ireland's Great Hunger Famine of 1845-1853. Many of these immigrants settled in southwest Baltimore and promptly went to work for the vibrant Baltimore & Ohio Railroad. The B&O had located in the countryside that was then West Baltimore in 1827 and quickly built a roundhouse, station, shops, and other buildings in the years that followed. All of this construction required human labor, as did the operation of the railroad itself, and Irish immigrants came to fill the need. These houses were built by By September 1849, all the houses had been sold to individuals of Irish descent, most of whom worked for the nearby Baltimore & Ohio Railroad. People like Thomas McNew, a watchman at the B & O Depot; Thomas Medcalfe, a fireman; and Dennis McFadden and Cornelius McLaughlin, laborers (who paid $400 for their new six room homes). 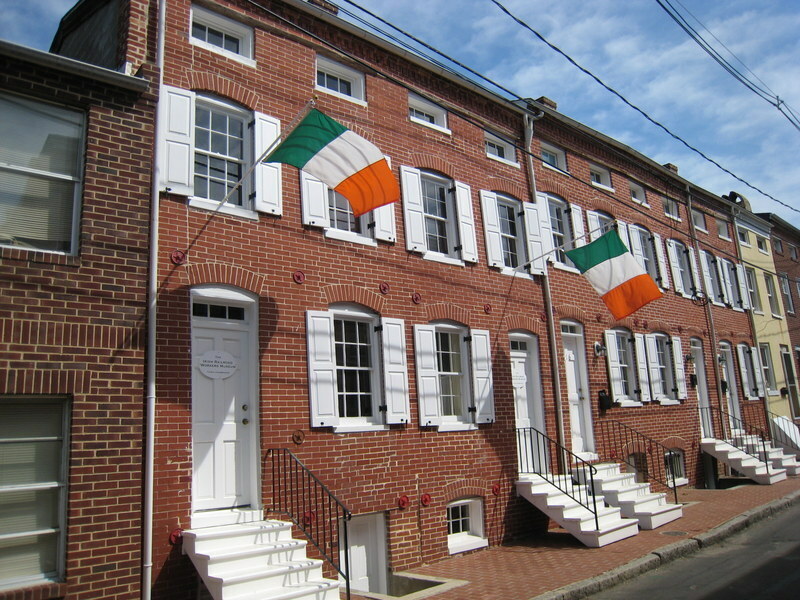 The Irish Shrine consists of two renovated alley houses in 900 block of Lemmon Street that were built by carpenter Charles Shipley on land leased to him by John Howard McHenry, a grandson of Col. John Eager Howard. By September 1849, all the houses had been sold to Irish households, including many who worked for the B&O Railroad — Thomas McNew, a watchman; Thomas Medcalfe, a fireman; and Dennis McFadden and Cornelius McLaughlin, laborers. One of the houses is furnished as a period house museum, reflecting the lives of the Irish-immigrant family that lived there in the 1860s. The other house offers exhibits on Irish-American history and local neighborhood life. With a lot of hard work and a lengthy law suit, a number of dedicated Baltimoreans founded the Irish Shrine (now the Irish Railroad Workers Museum) in 1997 to save the buildings from proposed demolition. 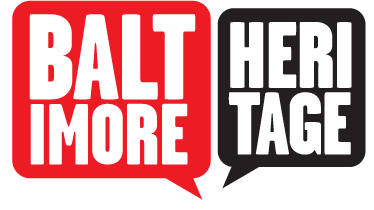 920 Lemmon Street, Baltimore, MD 21223 ~ The museum is open for visitors Friday and Saturday from 11:00am-2:00pm, and Sunday from 1:00pm-4:00pm. Johns Hopkins, “Irish Railroad Workers Museum,” Explore Baltimore Heritage, accessed April 19, 2019, https://explore.baltimoreheritage.org/items/show/35.